We just learned about the mountain peak Gasherbrum II. The next highest mountain peak is Shishapangma in Tibet. This mountain is the shortest of the 14 mountain peaks in the world that are over 8,000 meters tall. 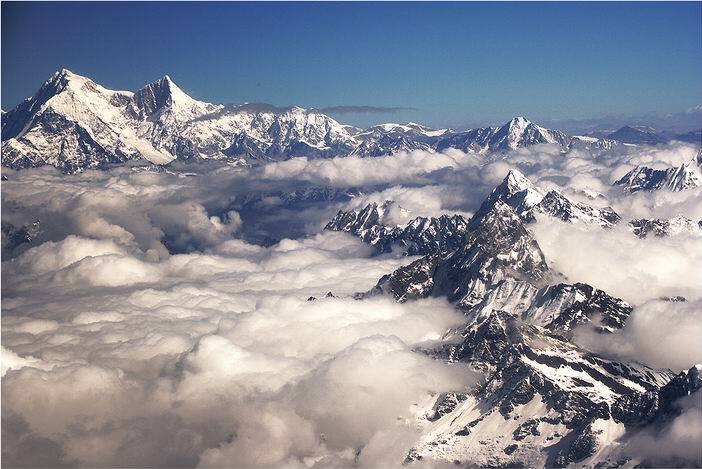 These mountains are sometimes called the "eight-thousanders". It was the last of this group to be climbed, because the countries that control where it is did not want people visiting. Some people think the name means "Crest above the grassy plain", and other people think it means "Meat of the dead animals and malty dregs" named after a story of people who were stranded in the mountains. It is also known as Gosainthan which means "place of the saint".